We offer medical equipment rentals at both locations. These are for people with mobility problems. Standard size scooters are for average size people. We also have heavy duty scooters available! All scooters are key operated, have a front basket, and carry one (1) person. All scooters have a consecutive two-day minimum. Batteries generally last all day. The length of time the charge on the batteries will last is a function of the rider's weight, speed, and terrain. The lighter the rider, the slower they go, and the flatter the land, the more time they will get. A gauge is located by the key and we suggest everyone take every opportunity to plug into any standard outlet (while eating lunch, resting, or going back to the hotel to lay around the pool or nap, and of course, all night in your room). Our ShopRider Sprinter XL heavy duty scooter has a 350 lb weight capacity and is the perfect heavy duty scooter. The Sprinter XL comes with a deluxe captain seat, chrome bumper, and 12” wheels for added comfort. The Sprinter XL is highly maneuverable and comes full with features. Our Pride Victory heavy duty scooter has a 400 lb weight capacity, lightweight seat, and 15.5 mile range. Standard size wheelchairs (18" wide seat) with fixed arms and removable footrests rent for $25.00 the first day. Also available are oversized wheelchairs with 20", 22", and 24" wide seats. Each size up costs $10.00 more the the first day (e.g. 20" is $35.00 the first day). Elevating leg rests are available. All manual wheelchairs are $5.00 each additional day. Electric wheelchairs have a joystick and are most often needed by people who cannot walk at all and/or have use of only one hand. The joystick can be placed on either the right or the left-hand side. These are harder to use than the scooters and are rented only to those who use one at home but do not wish to bring their own. 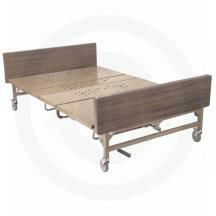 Our hospital beds are both semi-electric and fully electric (head, foot, and bed height). The mattresses are 36"x80". Side rails go up and down. This is a cloth-upholstered chair, which runs on a motor with a hand control. It reclines to be almost flat and, if desired, can also be used to rise to a standing position. Used by many people who cannot sleep flat. We have both two-position and three-position chairs. The patient lifts are hydraulic and have a "spreader bar." Some take chains and some have straps sewn into the sling and do not require chains. 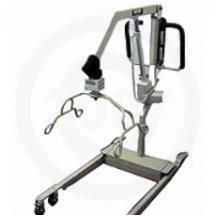 These are used to transfer a disabled patient to/from a bed, wheelchair, or bedside commode. Not to be used to transport patient from bedroom to bathroom. 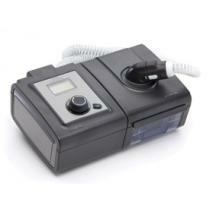 The Pulmonetic LTV 900 Ventilator features many of today's most popular modes of ventilation, including pressure support, NPPV, adjustable flow triggering and an apnea back-up mode. Its versatile 13.4 lb (6.1 kg) design provides patients with the freedom to be more mobile. Our durable LP Series™ of portable volume ventilators have a reputation for dependability. They are built with a patented brushless motor, which translates to lower cost of ownership. Its standard features and portability give the LP10 ventilator the flexibility to meet a broad range of pediatric and adult ventilation requirements. The LP10 ventilator has a pressure control cycle for pressure-limited, time-cycled ventilation. Decreased internal resistance reduces breathing effort in SIMV mode. 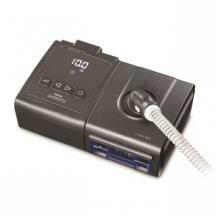 With the LP10 ventilator, expanded alarms provide reliable patient management. Knee walkers offer the perfect blend of style, comfort, and affordability. The knee walker shares many of those great features that you have grown to love. A knee walker is a perfect substitution versus crutches. Excellent Medical Equipment in Houston, provides rentals for scooter, wheelchairs, lift chairs, hospital beds, and more. With rentals offered by day or month, we have a plan for your needs. Call today. Scooter, wheelchairs, lift chairs, hospital beds and medical equipment rental.